Tale of The Firebird is a 45 minute work composed by Chloé Charody for Sonja Schebeck & The Freestyle Orchestra supported by The Australia Council for The Arts. 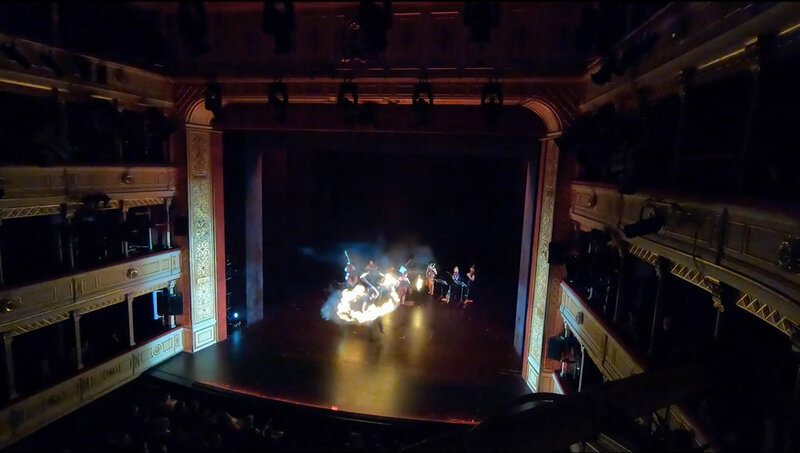 In this classical concerto, fire is an instrument of the orchestra - musicians shoot up in the air performing daring acrobatic stunts, taming and manipulating fire while music literally springs to life from all corners of the concert hall. This work aims to fully integrates three art forms: modern circus, contemporary art-music & physical theatre, with a compelling narrative conveyed through movement and physicality. This the first ever work written specifically for The Freestyle Orchestra’s unique capabilities, where the music, movement, and fire performance are conceived simultaneously. 'Dance of The Firebird' (movement 2 from 'Tale of The Firebird') premiered on May 18 + 19 2018 at Graz National Theatre followed by another performances at Brucknerhaus, Linz on May 26 2018. The completed concerto will premiere 2019 in Sydney supported by The Australia Council for The Arts. 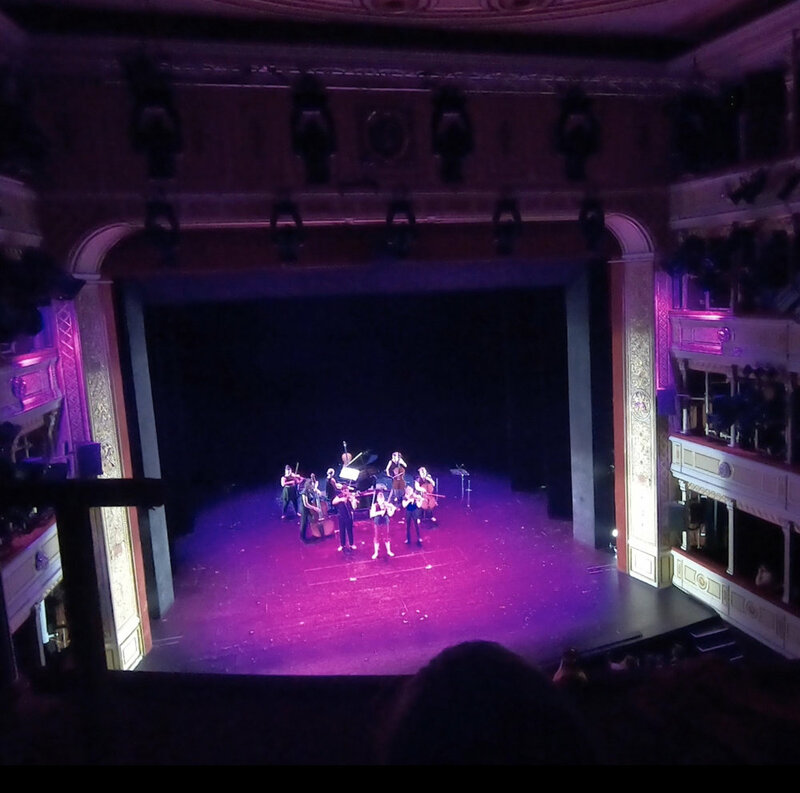 Image: (left) Brucknerhaus, Linz (below) Sonja Schebeck & The Freestyle Orchestra premiering "Dance of The Firebird" at Graz National Theatre & Brucknerhaus, Linz.